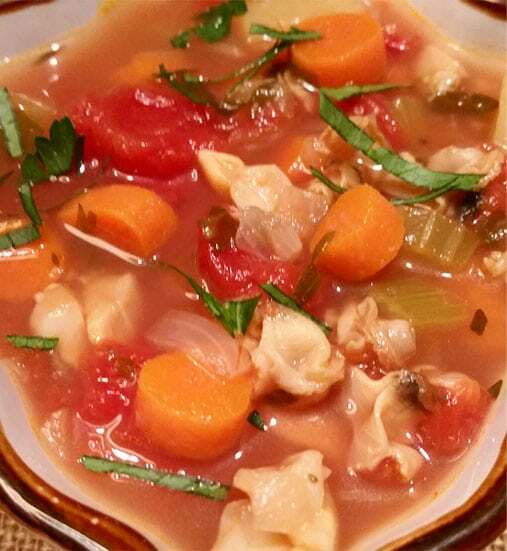 Taste the deep and developed briny goodness of our hand-crafted Manhattan clam chowder that warms you from within. Chock full of top neck clams, savory tomato, celery, potato, carrot, shallot, and garlic, this Long Island favorite is close to our hearts and always filled to the brim. Our Manhattan Clam Chowder is made from scratch; right down to the scratch rake we use to harvest the Long Island top neck hard clams for our recipe. Top neck clams are tender and smaller, which when chopped, are the perfect size and texture for this garden fresh soup. 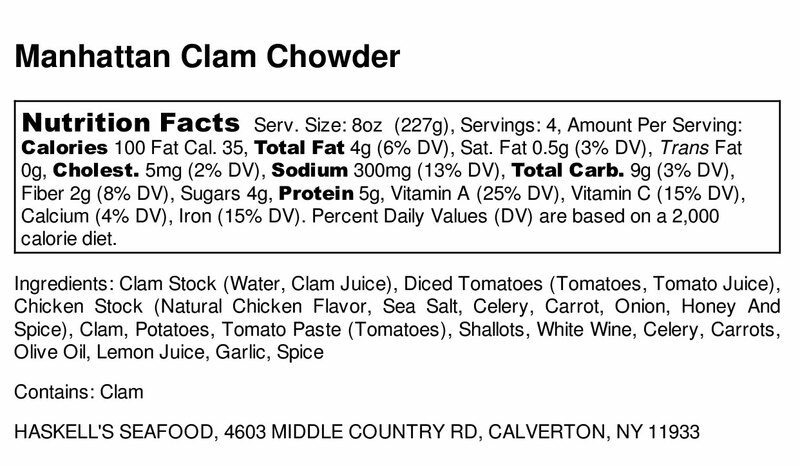 Not a drop of top neck clam juice is wasted as our clam stock is made to build this soup. Due to the perfect amount of saltiness in this clam juice, it fills you with the round and succulent flavors of our pure and briny sweet local clams. Our assortment of always fresh vegetables are chopped, and of course this wouldn’t be a “Manhattan” clam chowder unless deep red diced tomatoes and fresh herbs weren’t another star of the show to offer the luscious flavor, color, and brightness that balances the natural flavors of the sea, making this the ultimate experience of a true hand-crafted Manhattan clam chowder!